Having a new bitcoin-friendly gambling site on the scene is always refreshing, especially if it caters to more than one aspect of gambling itself. Betballer is a relatively new operator, offering it’s users Casino Games and Sportsbook along with Live Casino Games and In-Play betting. Betballer has entered an increasingly popular niche in the bitcoin gambling market, although at first impression they seem to fit the bill. At first glance, you see a typical Sportsbook site, however the shiny, user friendly design makes the initial registration experience accommodating enough to carry on. Spoilt by a moderate amount of options, Betballer ensures that you are aware of their main selling points as the new guy on the scene. The new gambling site is available in 11 different languages. Furthermore, international sportsbook sites often lack quality, therefore foreign players are going to enjoy a blast with this exciting new service available in a bunch of local languages. Anonymous play is only available for Bitcoin players, but do check the Terms & Conditions or contact support to avoid confusion on this front. Starting with their main feature looking at gameplay, Betballer’s obvious main feature is their state of the art representation of their impressive sportsbook software. Having been around for years, online sports betting standards have set the bar extremely high, making it a difficult genre to penetrate as a newcomer. Alongside an impressive roaster of top bets within the Betballer Sportsbook, a variety of adrenaline fuelled slots are also on offer. Betballer has teamed up with two of the top Software providers within bitcoin gambling to bring these to their loyal base of users; these are Softswiss and Endorphina. With games such as Blast Boom Bang and 4 of a King, players are guaranteed a blast indeed. Due to the demand in real-time gaming experiences, live casino and in-play betting have played a key role in aiding the success of up and coming operators in the gambling industry. The Betballer team have a timeless presentation of Live In-Play betting across sports such as Soccer, Tennis and even Basketball. Lastly, the live casino feature of the site is seamless. On offer, we have a series of table games such as Blackjack and Baccarat, promising not to leave players bored. 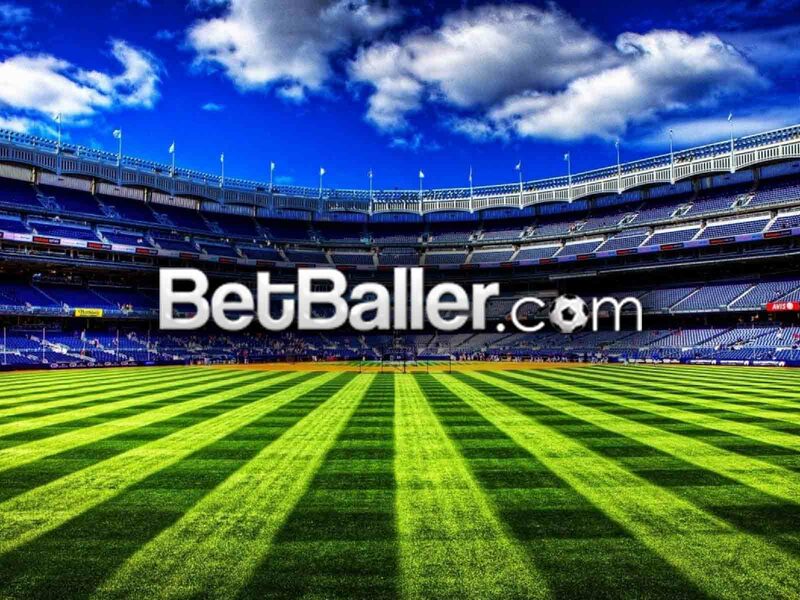 Betballer has a variety of funding options in 7 different currencies which include: Chinese Yuan (CYN), Euros (EUR), Turkish Lira (TRY), Russian Rubles (RUB), Canadian Dollars (CAD), US Dollars (USD) and of course Bitcoin (BTC). Deposits can be made through Credit Cards, Bitcoin, Moneta, Yandex, Qiwi, PaysafeCard, Sofort and Skrill. Most deposit methods are almost instant, however it may vary time to time, depending on the payment provider used. It is worth noting that credit cards have a limit of 6,000 EUR as a maximum deposit. New players at Betballer are entitled to a 100% First Deposit Bonus up to 50 USD/EUR or equivalent. This bonus is credited to the account, following the initial deposit, which then has to be wagered accordingly in order to be eligible for a cashout. The minimum deposit of 10 USD/EUR is required to activate the generous welcome bonus. 5x Deposit and Bonus amount OR 10x Bonus amount. On top of the lovely welcome bonus, players are often awarded a random VIP Bonus, which can occasionally be rewarded by the Betballer team. There is no exact criteria as such to qualify, however it is expected that the most loyal players will receive these benefits. Wagering requirements for VIP Bonuses can vary depending on the level of the bonus itself. The overall quality of support is satisfactory, due to the above average knowledge of the live support agents behind the screen. The Irish Licensed casino has overall proven itself to be a worthy contender in the world of multi-platform gambling, not to mention the smart move of integrating Bitcoin as a currency/payment method for a seamless experience. With a small but quality selection of slots and a prime sportsbook feature, this operator is worth a closer look. As an excited punter with a love for accumulators and Endorphina/Softswiss slots, the 100% Welcome Deposit can be used for good measure.